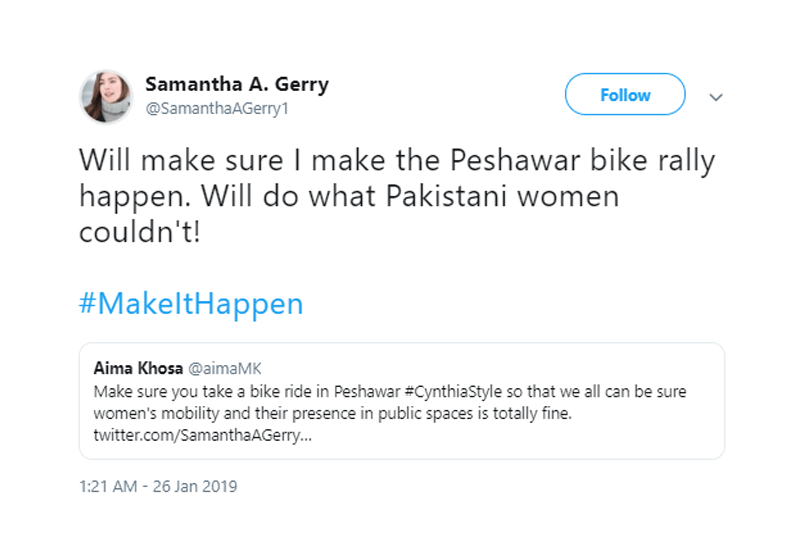 Samantha just became an extension of Cynthia and Ghias found his muse to spoof Pakistanis. 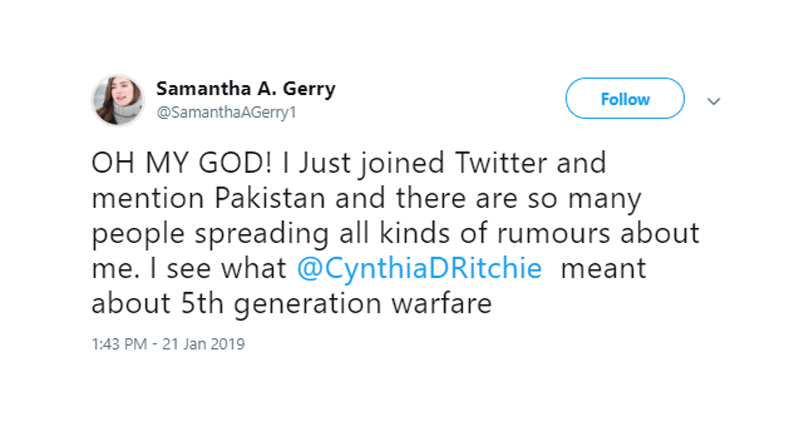 Twitter was hot on controversy this month after an account of US vlogger Samantha A. Gerry popped up, only to be revealed that it was a troll account run by Pakistani comedian Shehzad Ghias. 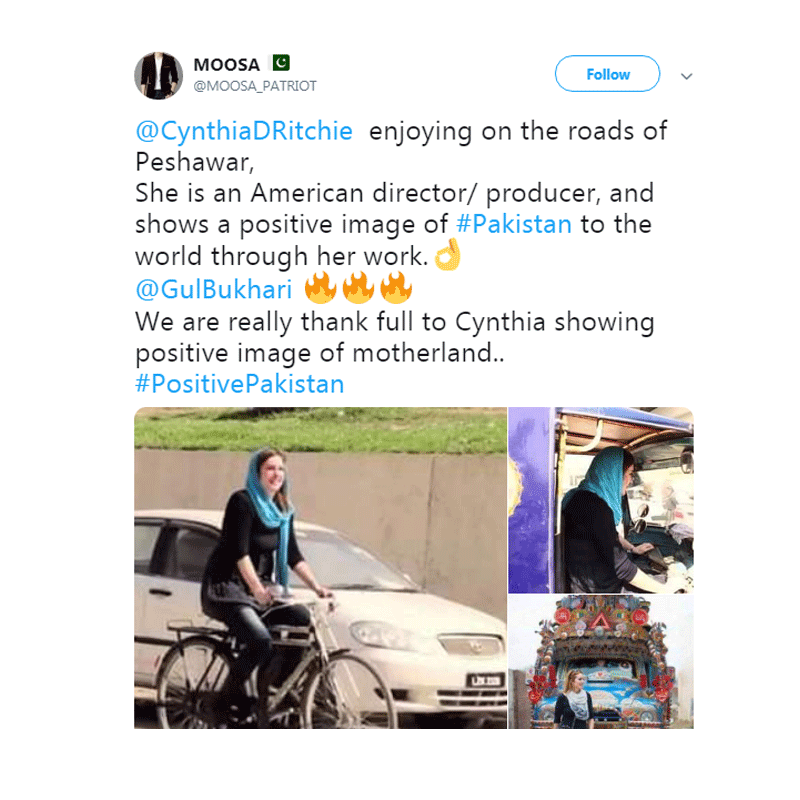 It was created shortly after Cynthia Ritchie's presence on social media went viral, when it became evident that Pakistanis pander to the white saviour complex and the white man's burden. 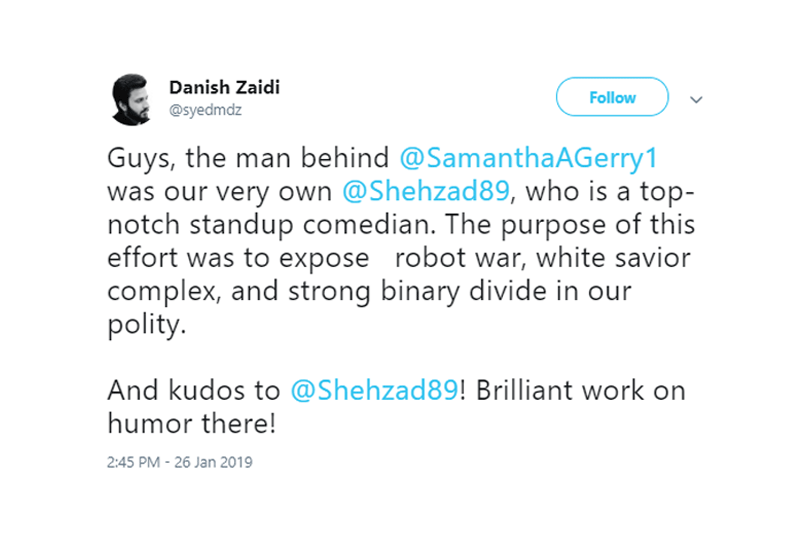 Taking these narratives a step further, comedian Shehzad Ghias decided to prove that Pakistanis are slaves to colonialism and consequently Samantha Gerry was born, posing as a couch surfer from New York visiting the country. 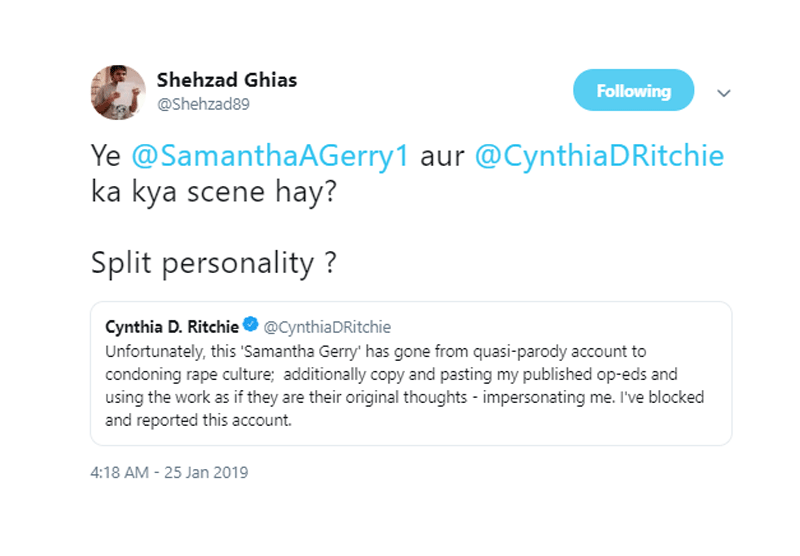 It didn't stop him from trolling Cynthia either. 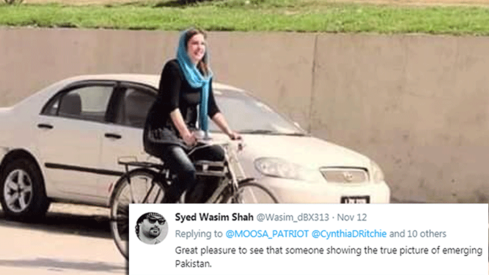 Pakistani men jumped on the opportunity to host the American and show her around. 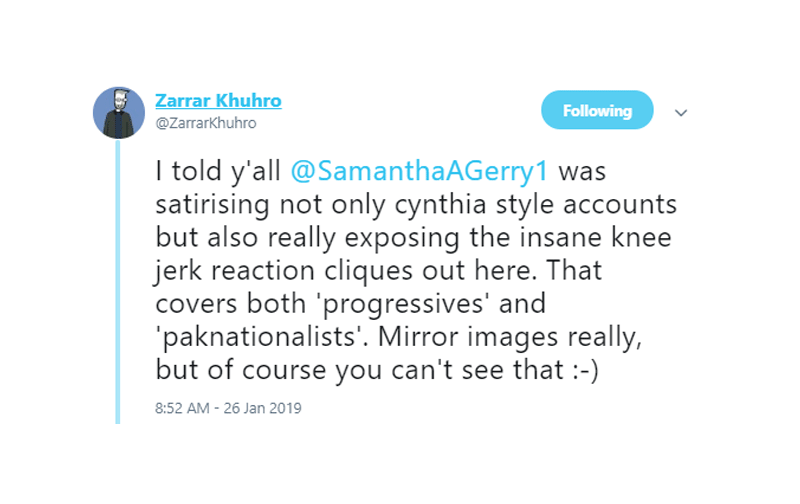 Till the comedian dropped the bomb on his Insta story this weekend, playing along to an interview with Samantha only to reveal that it was him behind the fake account. 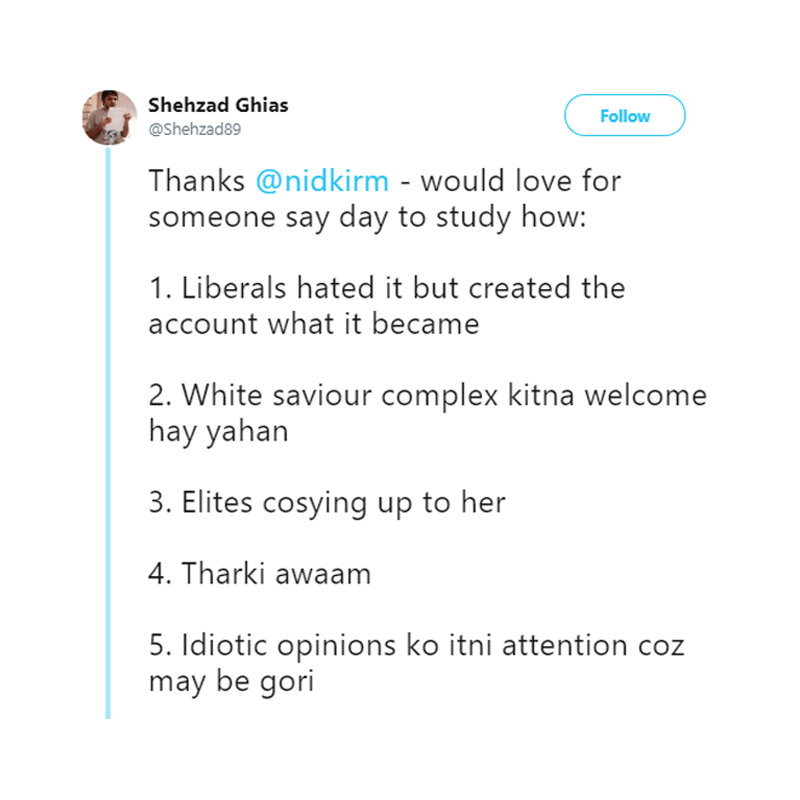 And no kidding, Twitteratis felt a little foolish. 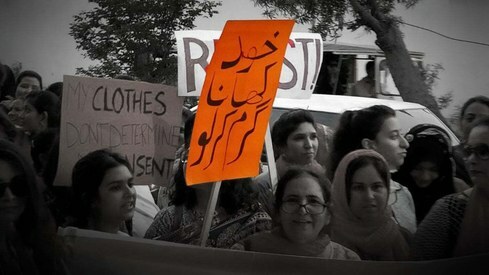 But others saw what it exposed about Pakistan. 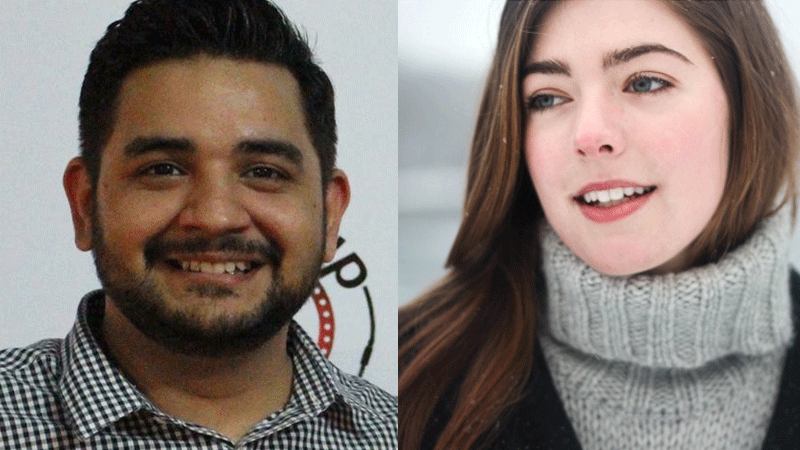 This goes to show the conduct of desis who treat white people differently than people of their own race. Did he ask that white girl whose photo he was using as a display pic? Such an elaborate ruse may not have been needed - such pakistani behavior has been evident for all who can discern it, for all with a brain. @Lea stock picture. License free. Anyone can use any image from there. 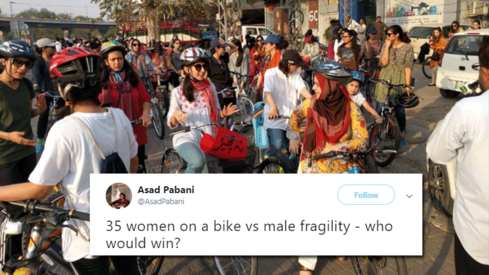 But is that the real concern here, not the addressed issue? That was brilliant. He showed a mirror to the whole country. 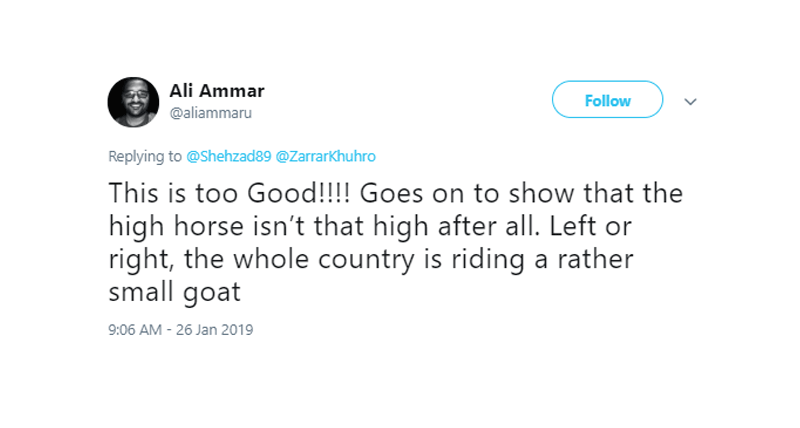 People like him give me hope for Pakistan's future. 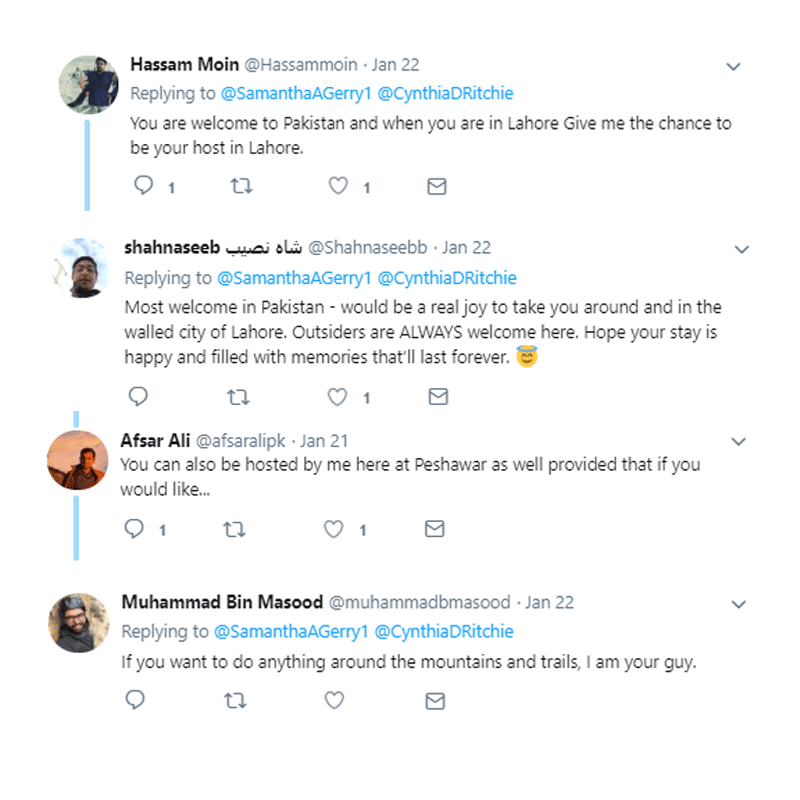 Who would not want to host a girl? It has nothing to do with the 'savior complex'. If the purpose was to show the 'savior complex' the author should have posted more tweets related to that rather than postings of guys offering her to show her around. Have no day job, i presume. Neither funny, nor amusing and completely illegal - hope legal action wipes out his silly grin, thinks he's being cute. 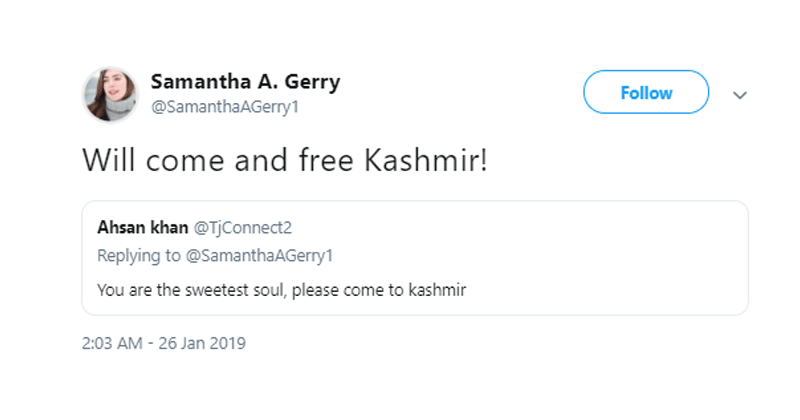 "Will come and free Kashmir!"